BitFenix are synonymous with providing small and unique PC cases that really set them apart from the competition. In some ways, it could be argued that they re-ignited the passion for small form factor PCs thanks to the Prodigy. Now, they have released their new version, the BitFenix Portal which we’ll be reviewing today. As with the Prodigy before it, the Portal is a Mini ITX case. Looks wise, it is very reminiscent from a Portal Turret (hence its name). Whereas most PCs have a side window these days, this isn’t the case with the Portal. Instead BitFenix have opted to install a window at the top of the unit instead. This will allow you to show off the GPU that you have installed. Of course, if you’re not into showing off hardware you can still get this case. It is also available as a windowless unit. One thing that’s striking for a PC case is that all the edges on this are curved, something which helps to add to its minimalist look. As you’d expect with any PC case, there are input ports included on the unit in the form of 2 USB 3.0 ports and also a headphone and microphone jack. Instead of being on the front or the back of the unit, they are instead on the right hand side. Of course, there will be other I/O ports are the back based on the motherboard that you choose. There is also a hard drive activity light alongside the ports on the right of the case. Aside from the presence or absence of a side window, the only other customisation option you have is whether or not you get the case in black or white. Although it should be noted that the legs will always be black. This may be a tad disappointing to those that liked the wider colour palette for the Prodigy series. However, black and white fit the aesthetics of the Portal perfectly. This wouldn’t be true of other colours. Aside from the I/O ports already mentioned, the inner frame can be removed from the outer frame. This is to allow the PC to be built. Curiously, as alluded to above, the system is built upside down, with the GPU being at the top. Despite this, the PSU is installed at the bottom which is the norm for PC builds these days. However, it should be noted that a normal sized power supply cannot be used in this case. Instead, you must use a SFX PSU instead due to the small form factor nature. As you would expect, it is also possible to mount fans both at the front and the back of the Portal, with the form factor being 120mm and 80mm respectively. These are already pre-installed in the unit, which is a nice touch. This will also save you having to buy these fans. You are also to have up to three storage devices installed, which is a nice touch. Depending on the storage capacities you opt for, it would seem unlikely that you would need more than three drives installed in the case. Obviously, the motherboard that you use in this case has to be of the ITX variety. Since this is a pre-set dimension (unlike GPU’s) you will be free to use any ITX motherboard of your choice. Now, the GPU is one area that you need to be careful about. For one, it’s a smaller case so you’re going to want to make sure that heat build up is kept to a miniumum. Otherwise, there can be a high degree of thermal throttling. Having said that, you should be able to adjust the fan curve on the graphics card to suit your needs. The longest size of GPU that you can install is 30cm. If you install a 30cm card into the case, it will have a small impact on airflow at the top. This is due to the fact that it will not leave a gap at all at the top of the case i.e. the card will be flush with the front and back of the Portal. Having said that, the number of mini cards hitting the markets these days is insane, so you won’t be spoiled for choice. However, as shown by LTT, it takes a lot of extreme measures to severely ramp up the heat in a case. Speaking of cooling, you will of course bee needing a cooler for your CPU. Again, you really are spoiled for choice here, to an extent. 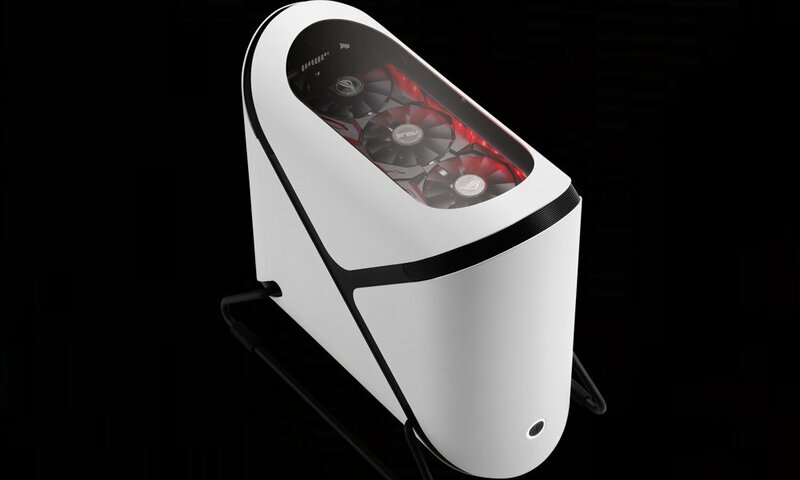 The maximum height for the cooler is 125mm, although you’ll be hard pushed not to find an excellent cooler at that spec. As you’d expect, there is no optical drive bay. This seems to be the way that cases are going these days. However, should you need an optical drive it is easy enough to use one via the USB ports at the back and side of the chassis. The Portal is constructed from high quality metal, so it’s not going to fall apart any time soon thanks to the steel and aluminium used. Although this is of course reflected in its price when compared to other cases. Moreover, as mentioned above the entire structure can be removed from the main shell. The ball bearing runners that assist in this are of extremely high quality. Linked to this is the access to the inner shell. Rather than have the screws on the back of the Portal, these are instead located on the underside. There are also predrilled holes here as well in order to aid with ventilation. When lifting the case up, it feels extremely sturdy but not necessarily heavy in the hands if that makes sense with it being just under 7 kg. Additionally, the legs that hold the unit up are of exceptional quality. There is also rubber attached to these legs. This will help prevent scratching or marring your desk should you move it around without lifting it up. The BitFenix Portal is available now from Amazon. The BitFenix Portal really is an amazing PC case. It is easily the best looking ITX on the market and also the most impressive looking for a long time. If it’s your first build, you might find it a bit of a struggle getting everything in, since there really isn’t any cable management options. Not that the cable management is an issue since there’s no side window anyway. When it comes time to upgrading the CPU, the whole unit needs to be removed from the outer case, but that isn’t a huge issue, more of an minor annoyance. If you’re looking for a new small form factor PC, the BitFenix Portal is the case you should base your build around. It really is that good!